GARNER, N.C. -- A total of 32 electric power outlets will help trucks at the Golden State Foods (GSF) distribution center cut costs and lower air emissions as part of a Duke Energy electrification project. 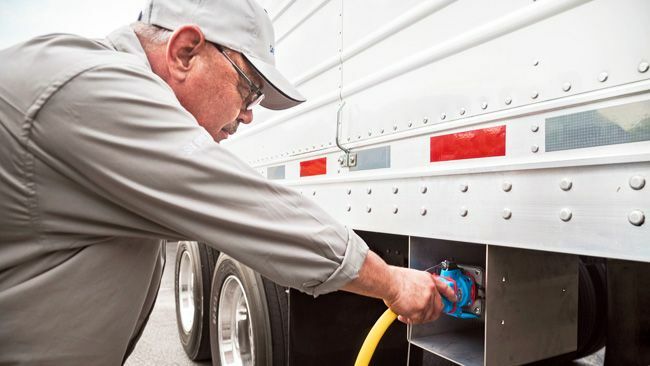 As one of the largest diversified suppliers to the foodservice and retail industries, GSF will allow cargo trucks to stop idling their engines to keep food cold, and instead plug into power outlets at the facility. The $300,000 project will help lower exhaust emissions, and is cheaper than the practice of running trucks on diesel fuel. SafeConnect® Systems installed the power outlets. 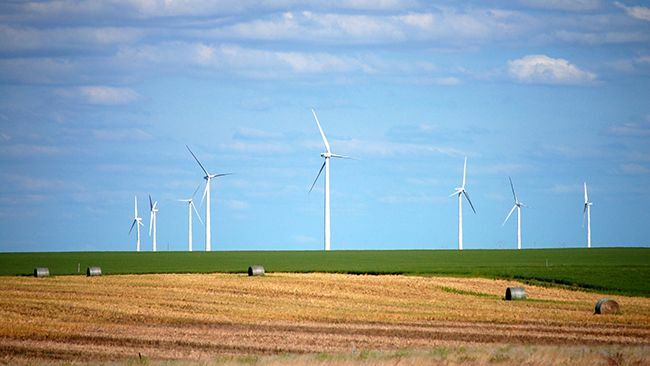 "Duke Energy is a strong believer in the benefits of electrification for our industrial customers," said Clark Gillespy, senior vice president, Economic Development at Duke Energy. "At Golden State Foods, truck idling will be lessened – saving money, lowering noise levels and reducing air emissions." According to the U.S. Environmental Protection Agency (EPA), long-duration truck idling results in more than 1 billion gallons of wasted fuel and 11 million tons of carbon dioxide emissions each year. On average, an hour of idling uses a gallon of fuel. "Incorporating renewable energy at all GSF facilities and fleets is a priority, and part of our fundamental values and GSF's 2020 sustainability goals," said Gregg Tartlon, general manager, GSF Garner. "These new electric power outlets are estimated to save Garner nearly $110,000 a year, resulting in 80,000 gallons of fuel saved for our 65 trucks. There are 15 GSF and Quality Custom Distribution (a GSF-owned company) centers currently leveraging this type of technology." This is Duke Energy's third project in North Carolina using electricity to power trucks instead of idling engines. The company has funded other projects at MDI Distributors in Catawba County and at Big Boy's Truck Stop in the Johnston County town of Kenly. "Because of Golden State Foods' pursuit of new solutions to realize internal carbon emission reduction goals, lower overall energy costs and keep drivers safe, we've had the privilege of installing our innovative electric standby connection system at more than 10 of their distribution facilities over the last three years," said Bob Provencher, Director of Technology and Sales, SafeConnect. 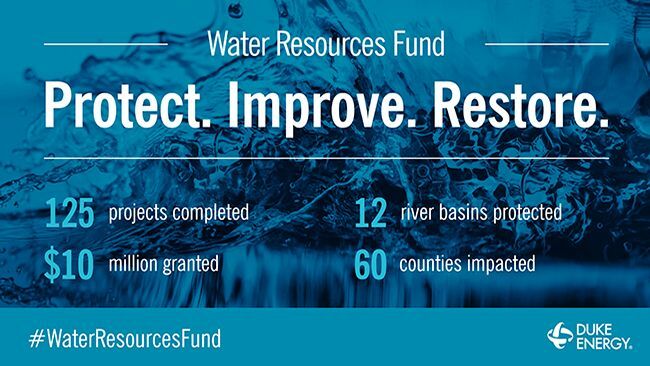 Duke Energy funding for the project is available by a 2015 settlement with the U.S. Environmental Protection Agency and environmental groups. NOTE TO EDITORS: A "plug-in" event at the GSF Garner distribution center will occur Wednesday, Aug. 8 at 10 a.m. Experts from all companies will be available for interviews. To attend, please contact Ashley Blua; ablua@goldenstatefoods.com; 818.326.5369. Golden State Foods is one of the largest diversified suppliers to the quick service restaurant (QSR) and retail industries. Established in 1947, the company is values-based with proven performance in superior quality, innovation and customer service throughout the QSR industry. With 7,000 employees worldwide, GSF services more than 125,000 stores on five continents from its 50 facilities. Its core businesses include processing of liquid products, protein, produce, dairy and full-line logistics services to the foodservice and retail industries. The company also runs the GSF Foundation, a national nonprofit organization to help children and families in need. For more information, please visit goldenstatefoods.com. SafeConnect Systems is the developer and manufacturer of an innovative, control-circuit enhanced electric standby connection system for hybrid (diesel-electric) Transport Refrigeration Units (e-TRUs). The company's six-pin control circuit system, safeguards people and equipment from the dangers of high-voltage electricity commonly associated with human error and traditional connection systems. 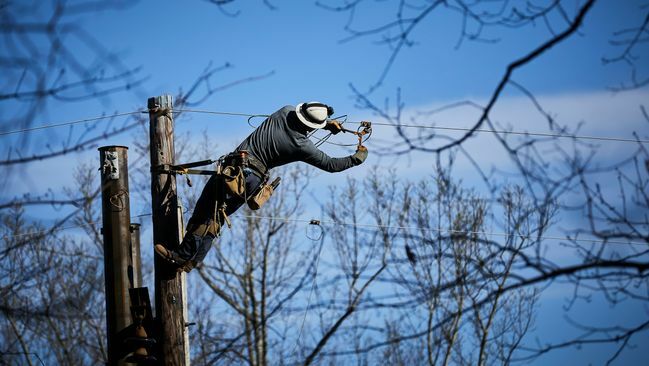 SafeConnect has earned EPA's coveted SmartWay® Verified Technology status, to make it a quickly emerging new standard for electric standby connection systems. For more information visit safeconnectsystems.com or call 844 R U SAFE 2 (844.787.2332).